BUCK FIRST CAME TO US FROM THE PALM COAST STREETS. HE WAS ADOPTED AND NOW AFTER BEING IN A HOME FOR OVER TWO YEARS, HE IS RETURNED TO US. BUCK'S OWNER WAS MOVING AND COULDN'T TAKE HIM. THE OWNER SAID THAT BUCK IS THE 'MOST HOUSE TRAINED DOG' AND HE IS ALSO CRATE TRAINED. 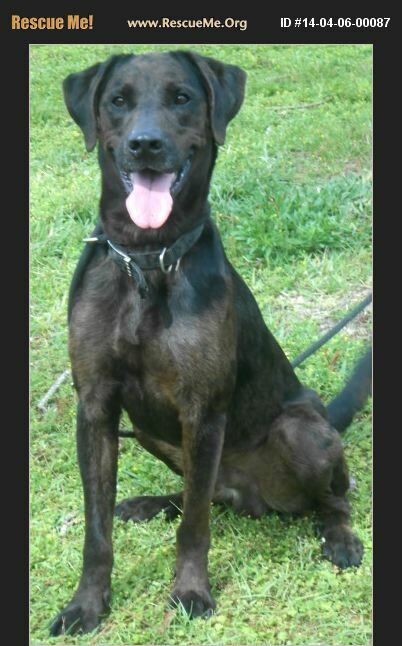 BUCK IS GOOD WITH CHILDREN OF ALL AGES AND KNOWS THE SIT, DOWN AND SHAKE COMMANDS. BUCK LIVED WITH SMALL DOGS AND CATS AND WILL CHASE THE CATS BUT DOESN'T TRY TO HARM THEM. BUCK KNOWS TO STAY OFF FURNITURE AND IS USED TO BE LEFT OUT TO RELIEVE HIMSELF. BUCK WEIGHS 56 POUNDS.